The SMART Turbine is transportable and affordable enough to be implemented in isolated rural communities, ones who rely on diesel generators to get a few hours of electricity in a day or, even worse, haven't seen electricity at all for decades. The company will be taking part in the leading U.S. solar power sector event, to be held in Las Vegas, Nevada from 20-23 October (Stand 4506), with an expected attendance of over 16,000 professionals. 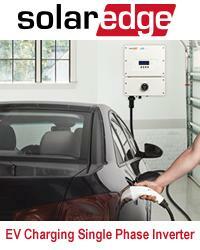 PROINSO will present its online store for PV products: Click & Collect. An easy to install, all-inclusive, cost effective device for residential installations. It generates a peak power output of 335.2W, breaking the previous world record of 326.3W, set by Trina's Solar's original Honey module in April 2014. The technology can increase solar module power output by up to 15%, effectively decreasing the total system cost by up to 8%. The new JPAC facility, located in Oahu, Hawaii, was designed by SmithGroup JJR to be a LEED Gold structure, complete with 484kW of solar power. "This shows the value of supporting basic research at universities and how basic research can translate to high-tech, high-paying jobs"
EUBCE 2015: participate at the Europe's leading Biomass Conference. Submit your abstract by 27 October 2014!